So you’re looking for a Drug Rehab Center? You’re in the right place. We provide an effective rehab programs to cater to people in Orange County, California, and the entire United States. You’re likely aware that drug abuse and alcohol can have a negative impact on your life and that of other people. New Life Treatment Center strive to create a serene setting for alcohol and drug addiction treatment. We also utilize state-of-the-art methodology, equipment, and unique therapies to identify and address the fundamental causes of drug abuse and all manner of addiction. We believe you’re ready to enroll in a program that will bring you true happiness. However, if you’re not yet ready, you can give us a call, or read our blogs to find self-help information that you can implement right away and see results. CALL NOW TO BOOK AN APPOINTMENT ! 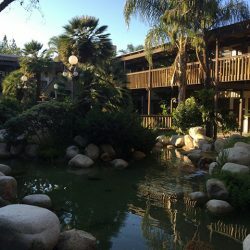 Drugs and alcohol never create the true sense of joy users crave our Addiction Rehab Orange County. Real happiness resides within every person, and the staff at NEW LIFE DETOX alcohol and drug rehab centers guide individuals to uncover the real rather than synthetic sense of happiness for which they search. NEW LIFE DETOX alcohol and drug rehab centers provide guided recovery aiding in the management and control of fear, anxiety, depression and other negative emotions so people can experience a NEW LIFE full of vitality like never before. Intensive Outpatient Counseling with FREE Sober Living lodging possible while enrolled in NEW LIFE DETOX programs. Orange County California is home to over 3 million people. It’s a beautiful place with beautiful people. However, behind the smiles there lies a problem; all sorts of drug (alcohol and marijuana) addiction are prevalent. A recent study by National Institute of Drug Abuse shows that alcohol and drug-related deaths have shot up by a staggering 82% since the turn of the century. In the period between 2013-2015, about 5500 people were hospitalized due to alcohol and drug use. 700 of the 5500 hospitalized lost their lives. The increase in deaths is said to have been caused by a tendency to abuse alcohol together with other drugs. These drugs include marijuana and opiates. In fact, 80% of the addiction deaths were due to an overdose. The opiates are readily available in normal prescription drugs such as pain and cough medication. Statistics show that more men than women die due to drug addiction. Drug abuse is the leading cause of preventable deaths in the world. Contrary to popular belief, most addicts in Orange County and in the U.S. are not teens and young adults. The statistics show that 72% of addicts were aged between 25 to 64. However, exposure to these drugs mostly happens during their teen years. It’s no surprise, however, that alcohol and drug use has increased during the information age. The internet has contributed greatly to increased drug use. People are exposed to videos and songs that glorify drug use. Musicians are also influencing people to use drugs and in no time they are getting addicted. They give drugs given classy names such as ‘lean’ or ‘purple drank’. Lean is a combination of cough syrup and soft drinks and sometimes alcohol. To tackle this scourge of alcohol and drug use we first have to understand what addiction is and what it does to the body. Drug addiction is basically a ‘disease’ that involves impulsive and uncontrollable drug use. This drug use continues irrespective of the harm caused to the body by the drugs. It causes short and long-term alterations in the brain’s chemistry. Drug addiction is mostly realized when attempts to stop fail. Drug addiction mostly starts voluntarily. Most stories from recovering addicts start with a single puff or a single sip mostly due to peer pressure. To be honest, that is all it takes to get addicted. Slowly, your body becomes used to the drug and seeking and using the drug becomes compulsive. It no longer becomes a choice. Drug use becomes a necessity. Like something you can’t do without. Drug use causes the brain to produce large amounts of dopamine. Dopamine regulates emotions, motivation and feeling of pleasure. When it floods the brain, it creates the “high” feeling. In time, this changes the brain’s chemistry thus causing intense drug cravings. Increased risk of cardiovascular complications such as heart attacks. Prolonged alcohol use can cause liver and kidney complication. Widespread brain damage involving loss of memory, seizures and stroke. Behavioral defects such as Impaired judgment, Loss of self-control, Impulsiveness and many more. Birth defects in case of pregnant women. These symptoms may cause an addict to live a miserable and unfulfilling life. Another effect of addiction is on the people you care about. It can cause a lot of stress for the people around you to watch you struggle with addiction. However, amid this doom and gloom, there is hope. Addiction can be cured. It is not easy but with commitment and proper guidance, it can be done. How we aim to help you conquer addiction. As stated above, addiction is curable. It is, however, not a one-step process. It is very difficult for one to quit drug use without any professional help. This is mostly because of the withdrawal symptoms that appear after quitting drug use. Withdrawal symptoms are both physical and emotional. Emotional symptoms include Insomnia, headaches, depression, anxiety and many more. Physical symptoms include difficulty breathing, nausea and muscle tension. The severity of these symptoms depends on the type of drug and the period of drug use. These symptoms can lead to relapse and they emphasize why you need professional to help you fight addiction. As stated above, drug use affects brain function. This makes it a complex issue to handle. We understand this fact and our professionals are dedicated towards handling the issue of mental health. Anxiety and depression is a major issue when it comes to addicts trying to recover. Severe depression can even lead one to suicide. However, with proper guidance, this can be managed. Drug addiction manifests itself differently with different people. Each case of addiction is unique. This, in turn, means that there isn’t one specific treatment for all addiction. Treatment plans have to be modified and reviewed for every patient. For every treatment to succeed it has to be administered by a qualified professional. Detoxification is usually the first stage of treatment and it involves removing the drug from the body system. After this, medication can be prescribed to facilitate rehabilitation.